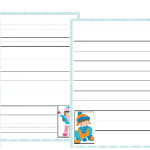 Spring is just around the corner and a new season is just what kids need to encourage them to write after the long winter season! 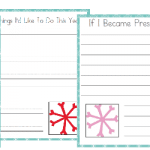 Writers are often inspired by what is happening around them, so taking a new season, the changes it brings and the holidays within that season are great ideas to inspire your kids to write! 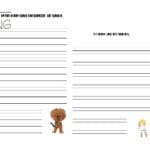 Sometimes a reluctant writer just needs an idea to encourage them to put pen to paper, writing prompts may be exactly what they need! 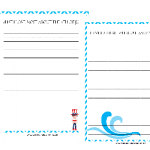 Natural writers often enjoy having a writing prompt to inspire them to write about something they never thought of before! 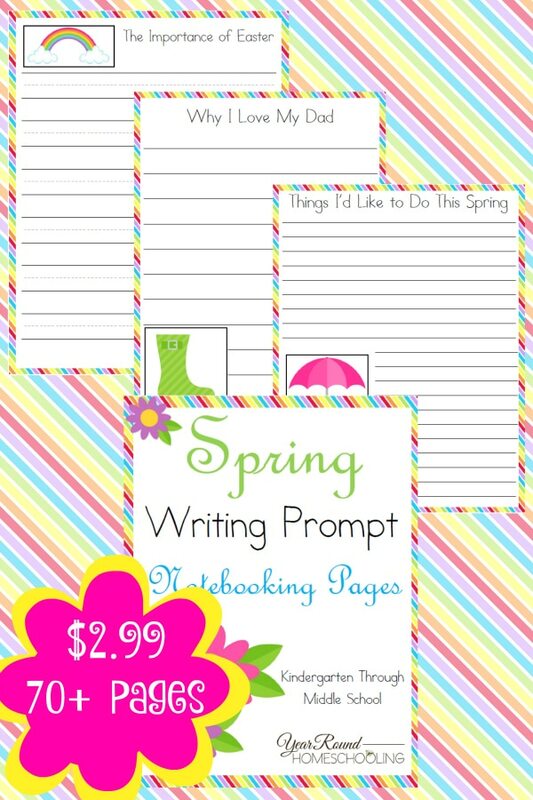 Kids of all ages need to have the opportunity to write often to be able to write well and this spring themed writing pack is a great place to start! 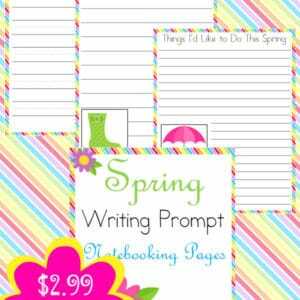 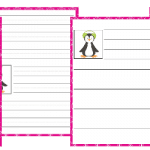 Inside you’ll find 70+ pages of spring writing prompt notebooking pages for Kindergarten through Middle Schoolers!